Vasily Dmitrievich Polenov (Russian: Васи́лий Дми́триевич Поле́нов; 1 June 1844 – 18 July 1927) was a Russian landscape painter associated with the Peredvizhniki movement of realist artists. A native of St. Petersburg, Polenov studied under Pavel Chistyakov and at the Imperial Academy of Arts from 1863 to 1871. He was a classmate and close friend of Rafail Levitsky, a fellow Peredvizhniki artist and famous photographer. Their letters, which are now stored in the Polenov's House museum, are an interesting account of the many art exhibitions, movements and artists of their day. 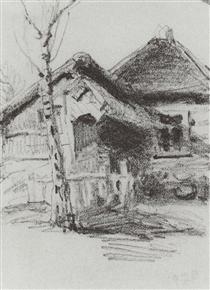 As bachelors, Polenov and Levitsky lived and worked together in "Devich'e Pole" (the name of the street "Maiden's Field"), in an attic of the Olsufevsky House (the home of Rafail Levitsky's future wife Anna Vasilevna Olsufevskaya). 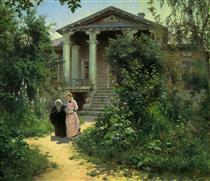 This house is illustrated by Polenov in his painting “Grandmother's Garden” (1878). Polenov was a pensioner of the academies of arts in Italy and France, where he painted a number of pictures in the spirit of Academism on subjects taken from European history, such as "Droit du Seigneur" (1874) Tretyakov gallery; at the same time he worked a lot in the open air. 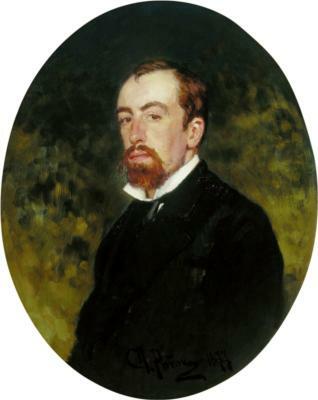 Polenov took part in the Russo-Turkish War (1877-1878) as a war artist. 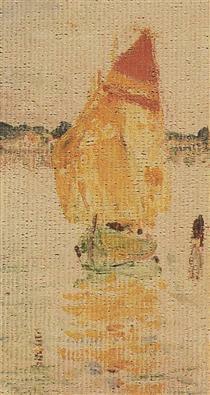 Returning from the war, he joined the Peredvizhniki, taking part in their mobile exhibitions. 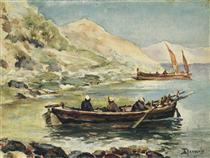 His works won the admiration of Pavel Mikhailovich Tretyakov, who acquired many of them for his gallery. In the late 1870s, Polenov concentrated on painting landscapes in the realist tradition of Aleksey Savrasov and Fyodor Vasilyev. He attempted to impart the silent poetry of Russian nature, related to daily human life. He was one of the first Russian artists who achieved a plein air freshness of color combined with artistic finish of composition (The Moscow courtyard, 1878; The Grandmother's garden, 1878; Overgrown pond, 1879). The principles developed by Polenov had a great impact on the further development of Russian (and especially Soviet) landscape painting. Polenov's sketches of the Middle East and Greece (1881–1882) paved the way for his masterpiece, "Christ and the Sinner" (1886–87), an interesting attempt to update the academic style of painting. In his works of the 1880s, Polenov tended to combine New Testament subjects with his penchant for landscape. 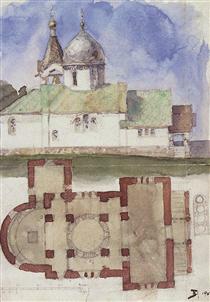 From the 1870s, Polenov also turned to stage design. Most notably, he decorated Savva Mamontov's mansion in Abramtsevo and his Russian Private Opera. 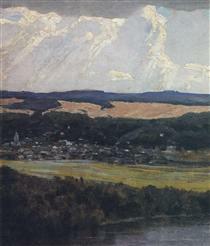 In 1910-1918, Polenov was involved in a folk theatre project. He died at Polenovo, near Tarusa, in 1927.